On the weekend we let you know about a Rogers survey which let customers get 2000 free Rogers First Rewards points, thanks to the Edmonton Oilers. 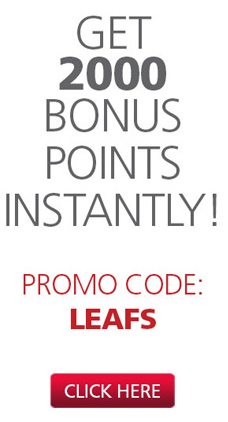 The LEAFS promo says its ends on March 26, 2014, so if you want your bonus points, you better act fast. We wonder if there will be a similar promo for Canucks fans, since also Rogers owns the naming rights to the arena. If you jumped on the OILERS bonus points and this one too, that means you would have received 4000 points total, or the equivalent of $40. The Rogers First Rewards program debuted for all customers last November and points can be redeemed for ‘rewards’ such as extra data, minutes or TV theme packs. Let us know if this works out for you!